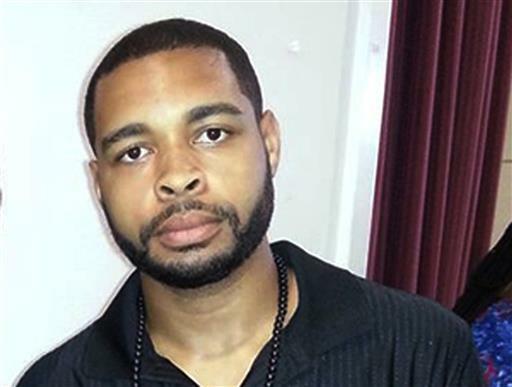 DALLAS (AP) — An Army veteran killed by Dallas police after the sniper slayings of five officers during a protest march told authorities that he was upset about the police shootings of two black men earlier this week and wanted to exterminate whites, “especially white officers,” officials said Friday. The man, identified as 25-year-old Micah Johnson, was killed by a robot-delivered bomb after the shootings, which marked the deadliest day for U.S. law enforcement since the Sept. 11, 2001, terrorist attacks. In all, 12 officers were shot. Johnson was a private first class from the Dallas suburb of Mesquite with a specialty in carpentry and masonry. He served in the Army Reserve for six years starting in 2009 and did one tour in Afghanistan from November 2013 to July 2014, the military said. 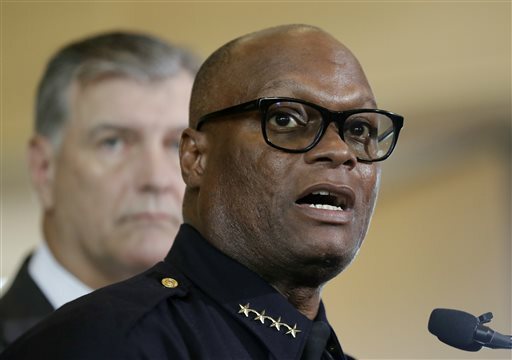 After the attack, he tried to take refuge in a parking garage and exchanged gunfire with police, Police Chief David Brown said. The suspect described his motive during negotiations and said he acted alone and was not affiliated with any groups, Brown said. Brown blamed “snipers” for Thursday’s attack, but it was unclear how many shooters were involved. 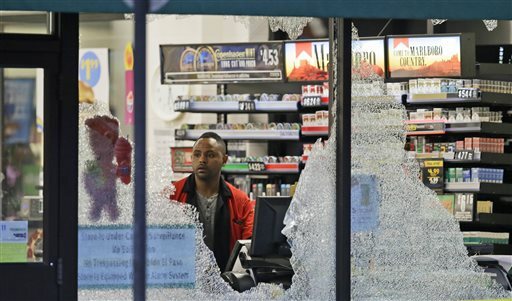 Authorities initially said three suspects were in custody and the fourth dead. Hours later, officials were vague and would not discuss details. Johnson was black. Law enforcement officials did not immediately disclose the race of the dead officers. The bloodshed unfolded just a few blocks from where President John F. Kennedy was slain in 1963. The shooting began Thursday evening while hundreds of people were gathered to protest the killings in Baton Rouge, Louisiana, and suburban St. Paul, Minnesota. Brown told reporters that snipers fired “ambush-style” on the officers. Two civilians also were wounded. Authorities said they were not sure they had located all possible suspects, but attention on Friday quickly turned to the man killed in the parking garage. A Texas law enforcement official identified him as Johnson. The official spoke on the condition of anonymity because he said he was not authorized to release the information. Around midday, investigators were seen walking in and out of a home believed to be Johnson’s in Mesquite. None of the other suspects was identified, and the police chief said he would not disclose any details about them until authorities were sure everyone involved was in custody. It appeared the shooters “planned to injure and kill as many officers as they could,” Brown said. Demonstrations were held in several other U.S. cities Thursday night to protest the police killings of two more black men. A Minnesota officer on Wednesday fatally shot Philando Castile while he was in a car with a woman and a child, and the shooting’s aftermath was livestreamed in a widely shared Facebook video. A day earlier, Alton Sterling was shot in Louisiana after being pinned to the pavement by two white officers. That, too, was captured on a cellphone video. Carlos Harris, who lives downtown, told the newspaper that the shooters “were strategic. It was tap, tap, pause. Tap, tap, pause,” he said. Few details about the slain officers were immediately available. 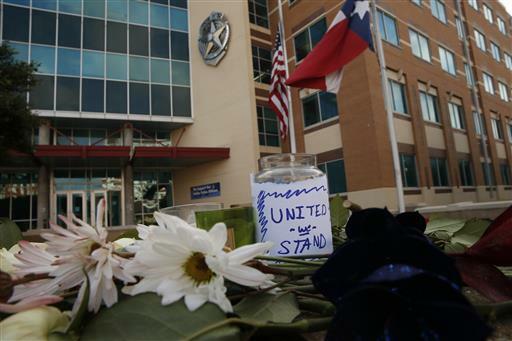 Four of the dead were with the Dallas Police Department, a spokesman said. One was a Dallas Area Rapid Transit officer. The agency said in a statement that 43-year-old officer Brent Thompson, a newlywed whose bride also works for the police force, was the first officer killed in the line of duty since the agency formed a police department in 1989. “Our hearts are broken,” the statement said. Theresa Williams said one of the wounded civilians was her sister, 37-year-old Shetamia Taylor, who was shot in the right calf. She threw herself over her four sons, ages 12 to 17, when the shooting began. Other protests across the U.S. on Thursday were peaceful, including in New York, Atlanta, Chicago and Philadelphia. In Minnesota, where Castile was shot, hundreds of protesters marched in the rain from a vigil to the governor’s official residence. Associated Press writers Terry Wallace, Jamie Stengle, Paul Weber and Emily Schmall in Dallas; Amy Shafer, Sarah Rankin and Benjamin Dashley in Chicago; and Kathleen Hennessey in Warsaw, Poland, contributed to this report.